The European Union and Azerbaijan today (9 February) held their 15th Cooperation Council, a high point in relations intended to be held annually, after a three year gap. .
As the official press release says, the meeting took place in the context of an intensification of EU-Azerbaijan relations, including the launch of negotiations last year on a new bilateral agreement. The previous Cooperation Council took place in November 2013, but relations between Baku and Brussels hit a low in 2015, following European Parliament resolutions that were highly critical of the human rights situation and the prosecution of human rights defenders in Azerbaijan. For its part, the Commission has been more business-minded and in November 2016 adopted a mandate to negotiate a new agreement with Baku, which would replace the 1996 partnership and cooperation agreement. The EU had planned to pursue a policy of association with its East European neighbours, until setbacks such as the Ukraine crisis and the decision of Armenia and Belarus to join the Russia-led Customs Union prompted a rethinking of the strategy. Out of the six countries members of the Eastern Partnership (EaP), only Georgia, Moldova and Ukraine stick to their Association Agreements. The case of Azerbaijan seems to be different, as the energy-rich country wants to pursue a policy that makes them equally independent from Russia and the EU and to have a relationship similar to the one Brussels maintains with South Korea and Australia. Today’s Council was chaired by EU foreign affairs chief Federica Mogherini, with the Azerbaijani delegation led by Foreign Affairs minister Elmar Mammadyarov. From their statements it became clear that the importance of accelerating Azerbaijan’s accession to the WTO was discussed, as this would allow the negotiators to envisage a more ambitious trade chapter in the new bilateral agreement. 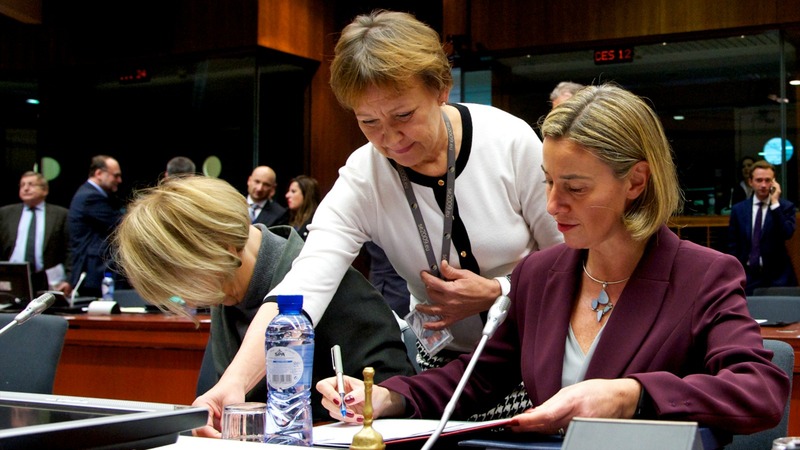 The meeting had been very open and very useful, said Mogherini. She added that the EU supported Azerbaijan’s territorial integrity and mentioned the Nagorno-Karabakh conflict, a post-Soviet frozen conflict as a result of which Azeri territory has been occupied since 1994, and because of which Azerbaijan and Armenia are still technically at war. She said the conflict continued to represent a very serious challenge. The resumption of high-level dialogue in Vienna, St. Petersburg and Geneva was an important development, she said, urging the parties to intensify negotiations. “The status quo is not sustainable and the conflict needs a political solution”, she said. She also mentioned the Southern Gas Corridor as an example of the EU-Azerbaijan strategic partnership in the field of energy. 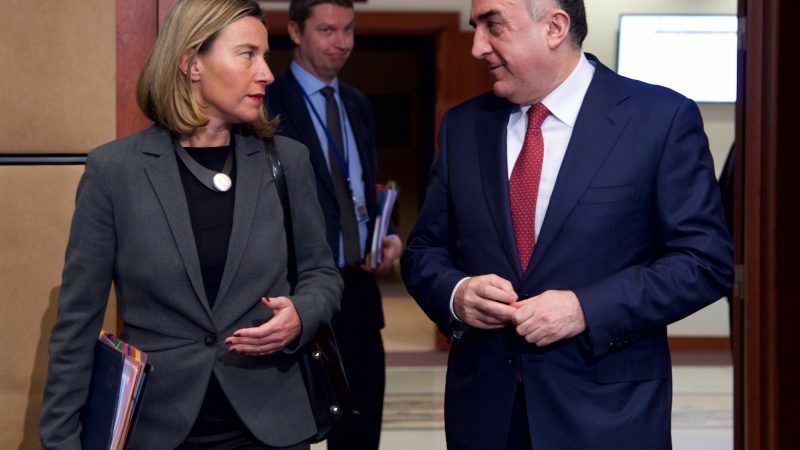 Mogherini said that she addressed democracy, rule of law and respect for human rights with her Azerbaijani counterparts, but didn’t mention concrete cases of concern for the EU. Mammadyarov said the visit of the President of Azerbaijan Ilham Alyiev to Brussels in February 2017 had opened a new chapter in his country’s relations with the EU. He said the sides had a very intense exchange on regional and security issues, which he said his country considered of benefit also for the EU. He said he briefed Mogherini on the latest talks on Nagorno-Karabakh and urged for a solution in accordance with the relevant resolutions of the United Nations Security Council. The minister said that a meeting would take place on the Southern Gas Corridor (SGC) on 15 February. He said that this year the Trans-Anatolian pipeline, the Turkish leg of SGC, will be inaugurated and start bringing Azeri gas to Turkey. Similarly, he expressed confidence that through the Trans Adriatic Pipeline (TAP), which is the European leg of SGC, to Italy, would be ready from 2020, and welcomed the decision of the European Investment Bank to provide a €1.5 billion loan for the TAP. 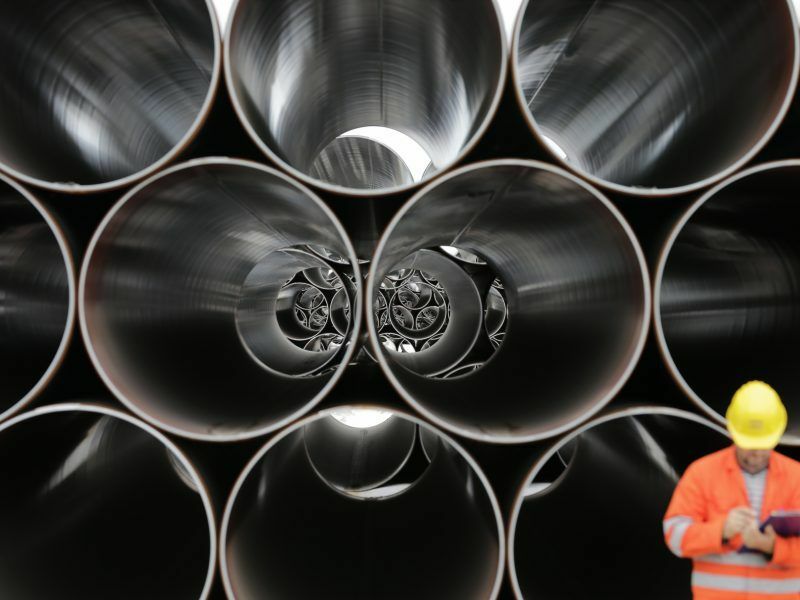 The European Investment Bank on Tuesday (6 February) approved its largest ever single loan to an energy project: the Trans-Adriatic Pipeline (TAP). The €1.5 billion grant will be used to bring gas from the Black Sea to the Mediterranean. Mammadyarov urged for more cooperation in the transport sector, highlighting the recent launch of the rail link Baku-Tbilisi-Kars. 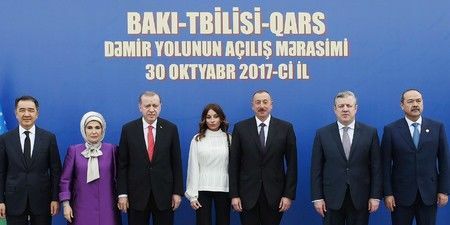 The leaders of Azerbaijan, Turkey and Georgia launched an 826-km rail link connecting the three countries on 30 October, establishing a freight and passenger link between Europe and China that bypasses Russia. Neither Mogherini or Mammadyarov field questions, but an envoy from the Georgian television Rustavi2 succeeded in collaring the Azeri minister in the corridor to demand a comment on the sentencing of Azerbaijani journalist Afghan Mukhtarli to six years in prison after he had investigated high-level corruption. The EU expressed concern on Sunday (14 January) over the sentencing of Azerbaijani journalist Afghan Mukhtarli to six years in prison after he had investigated high-level corruption. Mukhtarli, 43, had lived in self-imposed exile in neighbouring Georgia since 2015 after investigating Azerbaijan’s strongman leader Ilham Aliyev for corruption. Human Rights Watch reported Mukhtarli had been kidnapped in the Georgian capital in May 2017 and brought back to Azerbaijan, where he was placed in police custody. Mukhtarli himself said he had been abducted by plain-clothed men who spoke Georgian. 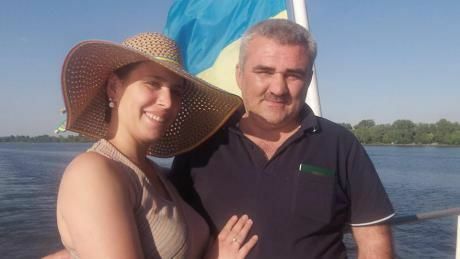 Days ago Mukhtarli was released for 48 hours to attend the funeral of a family member, using the opportunity to tell Rustavi2 that he was the victim of the interests of Aliyev and of his business partner, Bidzina Ivanishvili in Georgia. Ivanishvili is no longer Prime Minister, but is perceived as the country’s strongman. Asked to comment, Mammadyarov said that judicial authorities were in charge, and if there would be an appeal, a court would return to the case. “Everything will be done according to law”, he said. Asked by the journalist how he would comment a resolution of the European Parliament on Kuktarli’s case adopted on 15 July, he remarked that “I leave this to the conscience of the Parliament”.